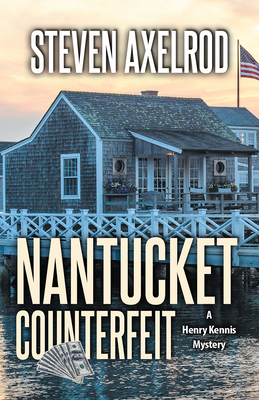 The fifth Henry Kennis mystery takes us into the closed, gossip-riddled, back-stabbing world of Nantucket's community theater. Horst Refn, the widely disliked and resented Artistic Director of the Nantucket Theater Lab, has been found stuffed into the meat freezer in his basement. Most of the actors, all the technical crew, and quite a few of the Theater Lab Board members, whom Refn was scamming and blackmailing, are suspects in his murder. The island's Police Chief Henry Kennis has to pick his way through a social minefield as he searches for the killer. At the same time, daughter's new boyfriend, football star Hector Cruz, has been accused of sexting her. Carrie knows the offending pictures didn't come from him, and Henry has to prove it before the boy gets suspended, which means probing into the family secrets of Hector's father, a firebrand agitprop playwright, who happens to be a prime suspect in Refn's murder. Every story is a fiction, every identity proves false, and every statement a lie. The counterfeit bills found at the scene of the crime are the most obvious symbol of the deceptions and distractions that obscure the investigation. The truth lies buried in the past, in Refn's earlier crimes and the victims who came to Nantucket seeking revenge. When the culprit has been revealed, the last masks torn off, and final murder foiled--live, on stage, during the opening night of Who Dun It, the eerily prescient opening drama of the Theater Lab Season--Jane says to Henry, "Is everything counterfeit?" He smiles. "Almost."